A jazz icon and session legend, Jason Rebello's career spans over twenty years and a multitude of genres, from his Wayne Shorter-produced debut album 'A Clearer View' to twelve years on the road with Sting and Jeff Beck to appearances with Joss Stone, Madeline Peyroux, Ronnie Corbett, Peter Gabriel and Mica Paris. His own collaborations span six albums ranging from jazz to hip hop, featuring the likes of Jocelyn Brown, Mark Turner, Maxi Jazz of Faithless, Jeff 'Tain' Watts and Joy Rose of Incognito. 'Anything But Look' blends contemporary jazz, soul, latin and fusion, with guests including Omar, Will Downing and Tim Garland. 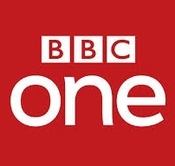 A-listers of the session world, including Pino Palladino (Adele, D’Angelo) and Jeremy Stacey (Eurhythmics, Noel Gallagher), appear throughout. 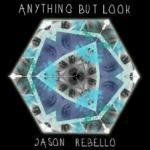 Visit jasonrebello.co.uk for more information!